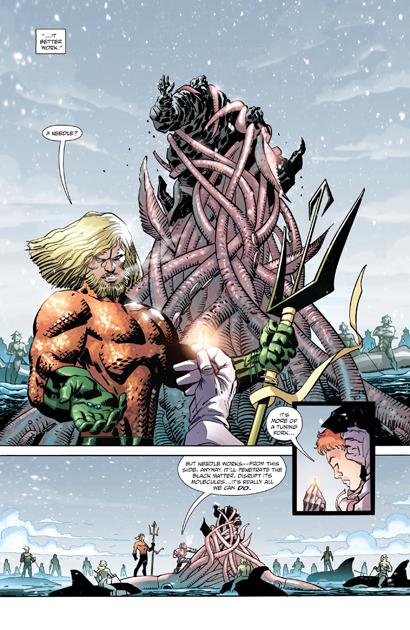 Aquaman appeared at the end of the Batgirl sub-comic in Dark Knight III: The Master Race #4, the first time (to my knowledge) that Frank Miller has ever written or drawn the Sea King in any DC comic. Aquaman has helped Carrie contain this slab of black matter containing Superman. Restrained by one of the Sea King's finny friends, Carrie pokes at it, causing it to explode! 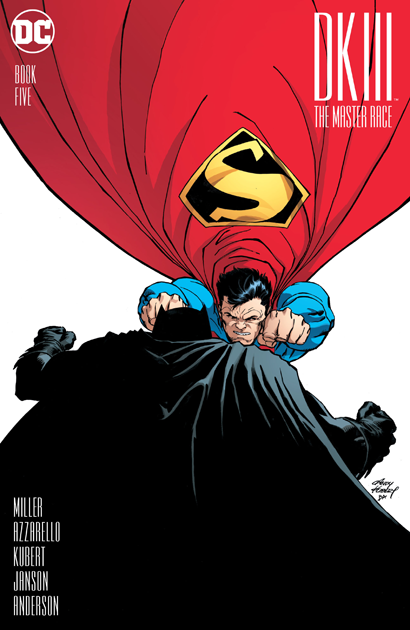 Superman bursts free from the slab--which is, I think, a portal to another dimension--and now it's time for a team-up! I'm not following this comic, so I really don't know what's going on. 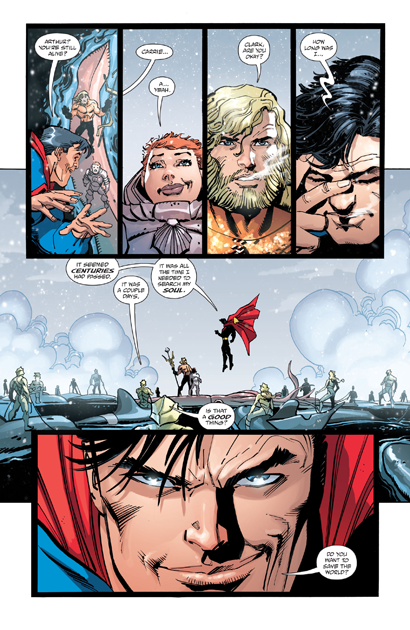 Doesn't matter, really, because I sure do love Aquaman as presented here by artists Andy Kubert and Klaus Janson! 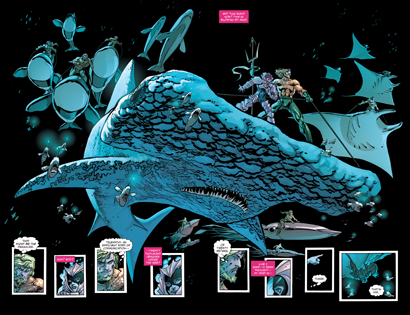 The two-page spread (click to embiggen) is gorgeous, majestic, a really great Aquaman image. Get rid of those smaller panels and you've got yourself a poster! That is really cool. 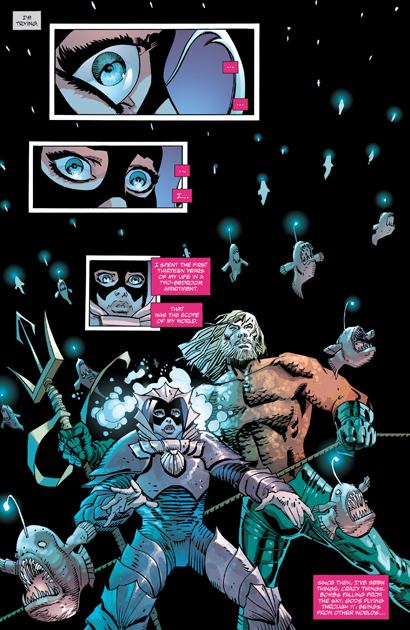 If you had asked me before I saw this, I would have said that I didn't think that Klaus Janson was suited to the character, but the art does a good job of rendering what it might be like in the eerie, lightless depths of the ocean. It really is an "alien" environment, and not just a reflection of the surface world with a few bubbles coming out of people's mouths. I like the crustacean-adapted armor/diving suit and the bizarre, toothy fish also. I want to see more.